Since Creative Suite 5.5 was launched three weeks ago, Adobe has held three “Ask a CS Pro” sessions to find out more about the new release and get top questions answered. The first one happened on Facebook and we covered it in its entirety. The most recent two included live demo walkthroughs of the new CS5.5 products and features, plus plenty of great Q&A. The replays run about an hour apiece and you can watch videos of them here (April 21st) and here (April 28th). We have recorded the entire text of the questions and answers from both of these last two sessions and they are shared for you below. Adobe’s Creative Suite Evangelists are Terry White (Design), Rufus Deuchler (Design), Greg Rewis (Web), Paul Trani (Flash Platform) and Jason Levine (Digital Video & Audio). If you have any questions at all about the release that are not answered here or by our CS5.5 launch review, or comparison to CS5, or what’s new product feature articles, just leave them in the comments below and we’ll get answers! What’s New in Acrobat X? What’s New in Contribute CS5? What’s New in Fireworks CS5.1? What’s New in Illustrator CS5? What’s New in Photoshop CS5.1? What’s New in Soundbooth CS5? Q: Which products have major changes? A: InDesign, InCopy, Dreamweaver, Premiere Pro, After Effects, Flash Pro, Flash Catalyst, Flash Builder, Audition, and Acrobat X.
Q: I meant to ask, what does CS5.5 have that is new and radically different? A: It depends on what products you use most often. The apps that have rev’d most are DW, FL and some ID enhancements, as well as all video and audio products – check out what’s new and see if these new features are important for your needs. Q: Well, that is the thing… to stay current, I should be learning to create mobile apps. I’d like to go to a boot camp to learn how to do that. A: You do need to learn about UI specifics for devices, but you can use Flash Pro, Dream­weaver, Flash Builder just like you used to… and now publish to Android and Apple iOS! Q: I know this seems like an odd question but, is it worth the upgrade to CS5.5 from CS5? Or should I wait until CS6 releases? A: Check out the features, ask questions. If it suits you then go for it! But more importantly if you’re interested in mobile, publishing, HTML5, video, Flash, then go for it! Q: This is a major upgrade. Why was it not called CS6? A: Not everything was updated (Illustrator for instance). Photoshop has some new things but not a full release of features… So 5.5 is to address the needs of the market sooner rather than later, as opposed to making everyone wait for new features in all the apps. Q: Can I install and run CS5.5 side-by-side on the same computer with CS5, CS4, and earlier versions? Q: Is Creative Suite 5.5 more memory intensive than the previous versions? A: I don’t believe that the memory requirements have changed from CS5 to CS 5.5 but you can check Adobe.com for sure. Q: Is CS2 still the oldest version back that you can get Adobe’s discounted upgrade pricing for, to get to CS5.5? Q: Did you say that the upgrade is free from CS5 to CS5.5? A: No, it’s not a free upgrade unless you recently bought CS5. Q: We just purchased licenses for CS5 about three weeks ago. What is going to be the policy for upgrading to CS5.5? A: If you recently purchased CS5, you could be eligible for a free upgrade to CS5.5. Q: What’s the timeline for the free upgrade to CS5.5 if you just purchased CS5? How recently does it have to be to qualify? A: Best to contact customer support and they will tell you what you can do in your particular situation. Q: What is the best way to upgrade from Creative Suite 5 to 5.5 – do we have to wipe out any trace of CS5 from hard drive to install 5.5? A: No – I just installed CS5.5 right alongside of CS5. Q: Hi, what is your suggestion for shops or companies that need to deal with multiple versions (saved file formats) of the applications? If I understand right, there are now different file versions for CS3, CS4, CS5, and CS5.5, for many of the products. Do you have any best practices or recommendations for how to manage? Does Adobe have any solutions in the works for this issue? Thank you! A: Well, honestly, if everyone is on the latest version the problem would be solved. :) But I know that’s not always realistic. I’d just say to get in the habit of downsaving files when you finish. For example, if you use the IDML exchange format you can downsave InDesign CS5.5 all the way to CS4, and there are external file conversion services which show you can go farther. But I always keep a backup of the most recent version. See the details on saving or opening from the other products. Q: Will there now be CS5.5 Student & Teacher Editions available for academic customers like before? A: Yes, the education products continue with all the same configurations and reduced prices, but now updated for the new release. Q: Will Adobe ever release the Creative Suite (CS5 or CS6) on Linux natively? A: Hard to say what the future holds. Q: By the way, you guys have done a fantastic job on tv.adobe.com. Love all the videos. A: Thanks – I’ll share with the Adobe TV team as well. Q: Does Adobe offer a site license? We’re running at least 3 different versions of CS at work. A: Indeed we do! We have a few types of Adobe Volume Licensing depending on number of seats you need. It’s designed for small businesses. Q: Do you have a ship date yet, or when to expect CS5.5 to be ready for download for pre-order customers? Q: Any good absolute beginners books, tutorials, etc. for Creative Suite? A: A good source for this is Adobe TV. Q: Why do we have many updates: 1 for CS5 Design Premium, 1 for Acrobat, 1 for Lightroom? A: Largely because they are still on separate development cycles. Clearly not an ideal situation and something we will continue to work on to get better at. Q: I teach at a high school and we are upgrading this summer from CS first version to CS5 or 5.5 (or CS6) also changing from to Mac from PC. Have lots of problems because of going through a server, saving edits, can’t delete (esp. Illustrator) . Will the new version be more server-friendly? A: Unfortunately there are no changes to working over a server (which really isn’t supported). Q: Does CS5.5 fix the issues with Spaces on Mac OS X? A: I believe that the combination of Mac OS X 10.6.7 and CS 5.5 address the known issues. Q: Hi, Adobe TV would be a good resource for video tutorials on CS5.5, correct? A: Yes, there are CS5.5 overview videos on Adobe TV. Q: Is there a CS 5.5 release date yet? A: CS5.5 is shipping in English early May, with other languages following. Q: Will CS6 incorporate the mobile features of CS 5.5, or will the mobile development updates continue on a separate pathway? A: I don’t know what is in CS6, nor do I even know if there will be a CS6, technically. But I could imagine it will have all these features and more that would blow your mind! Q: This is amazing information. Could you please post a link to the recording if possible? A: Sure – here is the link to the replay. Q: CS5.5 includes Adobe Acrobat? A: Yes, Acrobat X is included. Q: Is Acrobat X only with CS5.5 Master Collection? A: Acrobat X is included in Design Premium, Design Standard, Web Premium, and Master Collection. Q: Is Acrobat X that’s included the Pro or Suite version? A: It’s Acrobat X Pro in the suites which include Acrobat (which is most of them). Q: There is no ‘suite’ version of Acrobat X to my knowledge? Q: Having terrible problems showing PDF’s inside of our app, seems Acrobat doesn’t support 64 bit. Is this the right forum to ask if there are plans to change that? Talking about the COM component. A: The latest Reader plug-in is 64-bit enabled. As far as the Acrobat application is concerned, it’s also 64-bit-enabled in version X. » See a complete list of all new features in Acrobat X Pro, or try it for free. Q: Can we use multiple screens with After Effects CS5.5? Q: I know you can save an After Effects file as a CS5 so it would be backwards compatible, can you do that in the whole suite? A: There are some apps that allow a ‘save to previous version’ option. InDesign is one of them; AE is another. Premiere Pro does not officially have this option, nor Audition. Q: About the video products, besides the new effects in AE, and the introduction of Audition (which is amazing) what are the new features on After Effects CS5.5 under the hood… and if there’s anything new with expressions? A: Regarding AE, there are indeed many ‘under the hood’ and small changes, including (but not limited to): displaying Source Timecode (long time request), additional LUT support (3DL files with floating point values and LUTs saved from Assimilate Scratch), rendering XDCAM EX footage, better disk caching, search history, Create Orbit Null to parent the camera to a new null layer to match camera, etc. Q: Is there a new product for grading in the future in Adobe suite? A: Are you referring to a standalone grading app? At present, we certainly offer several options in Premiere Pro and After Effects, including Color Finesse 64-bit (in AE). Nothing standalone at the moment, though we are indeed hearing these requests quite frequently. Q: How much more benefit in upgrading, for HDSLR filmmakers? A: I shoot DSLR video and the benefits are huge with native support, Warp Stabilizer and mixed formats on the timeline. Q: Does Layers Magazine contain After Effects tutorials? A: The magazine is no longer being produced, but yes it did contain AE tutorials. A: It’s really good actually. It will amaze you how well it works, without much fuss or modifying of parameters. Q: Is this being recorded for later viewing? A: Here’s a link to the Warp Stabilizer video examples. » See a complete list of all new features in After Effects CS5.5, or try it for free. Q: Just to clarify… Audition is not only on Windows but Mac OS X too? A: YES! Adobe Audition is on both Windows and Mac…and this is a new version; it’s not an update from Audition 3.0.1; total rewrite, and it’s now the same on both operating system platforms. Q: Are the automation lanes still present in Audition so that you can determine to what level certain effects are applied over time? A: Yes. The automation lanes are still there. In fact, that’s the way you’ll automate in this (first) cross-platform version. We currently don’t have ‘fader’ automation as we did before, but you can ‘draw’ envelopes for all parameters and manipulate them in the MT automation lanes. Q: Safe to assume I can also use Acid loops in Audition in the multi-track editor, just like in prior versions? Are there any looping features missing that were in prior versions of Audition (i.e. tempo and whatnot)? A: So….yes…you can still import ACID loops into Audition CS5.5. Unfortunately, in this new version, we weren’t able to get the entire loop engine integrated, so we don’t offer the global session key/tempo options at present. You can of course ‘loop without gaps’, but you don’t have the control from the previous version, not yet. Q: You said you can display a graphical representation of a Match EQ graph…is that a still or a realtime moving display? A: It’s a real-time moving display. Q: So the audio “thing” works the same way like it does in Logic pro (as an example)? A: Well, I’m not quite which “thing” you’re referring to. With regard to Noise Reduction we offer many similar type filters (for noise reduction, hiss reduction, clip restoration, digital click removal/pop removal, etc) though I believe we have more native effects and more control over parameters/settings, including our ability to edit all elements of noise spectrally. No one has the depth of control in Spectral Frequency Display that we do (we even offer Photoshop tools!). » See a complete list of all new features in Audition CS5.5, or try it for free. Q: Will there be any changes or updates to Adobe Contribute to go along with new updates to Dreamweaver CS5.5? » Try Contribute CS5 for free. Q: Will the Dreamweaver CS5.5 upgrade have better support and integration with HTML5, CSS3 and the jQuery libraries? A: Yes – enhanced code-hinting, super jQuery support, and publishing to mobile – both as HTML using CSS3 media queries and native apps for iOS and Android. Q: In Dreamweaver CS5.5, how will updates to JQuery Mobile be handled within the application? A: The release version of jQuery at the time of ship will be the one that is included. We will be blogging how you can manually update it if you want to stay on the front lines with dot releases. Q: Are there any new features in the Web Premium suite outside of Dreamweaver, like Contribute, Bridge, Flash? A: Dreamweaver and Flash are the two web products that are updated in CS5.5. Contribute, Bridge, Fireworks, Illustrator, and Photoshop are all the same as CS5. Q: What is the most single important update we can expect with Dreamweaver CS 5.5? I have read through most of the articles, but just wanted to hear it from you guys personally. Thanks. A: Have a look at my blog for a summary of all of the new DW features. Q: I am an advocate of complete HTML5 websites, What is the extra benefit of upgrading to CS5.5 vs. waiting on CS6? A: Dreamweaver CS5.5 fully supports HTML5/CSS3 – so, if you are doing HTML5 today, you will be more productive here than trying to do it by hand. Q: Any word on having versions of the CS products for tablet devices – more specifically having something Dreamweaver-esque for an iPad, Motorola Xoom, Samsung Tab? Q: Just for clarification: When you compile or publish a mobile project in Dreamweaver CS5.5, does it produce a product that is ready to go to the Apple or Android markets with no extra work? A: In DW, we create a debug version. You will need to do a couple of extra steps (editing an XML file) to compile the file versions. Q: We learned HTML (don’t know which version, I think 4) in school. What’s the difference between HTML 4 and HTML 5 in Dreamweaver CS5.5? A: Basically, Dreamweaver now supports HTML5 and CSS3, including the ability to preview it live using Live View. Q: Does Dreamweaver support WebDeploy, if not are there any plans to? A: That’s (sadly) not something that we’ve heard a lot of users asking for – so, if it is something that you would like to see, please let us know. Q: Would you expand on the HTML5 and Mobile app dev capabilities of Dreamweaver 5.5? A: In a nutshell, you can use HTML5/CSS3/JS to build applications in DW 5.5 and package it as a native application for iOS and Android using the PhoneGap framework – without ever leaving Dreamweaver! Q: Greg, should we be using HTML5 on new sites from here on out? Q: How would you upgrade a HTML site in DS5 for HTML? Can you rename the HTML or ? A: Yes, do a find/replace on the doctype of your documents and suddenly, you’re HTML5! Q: Can I edit while in Live View / Live Code? A: Yes/No. You can edit in the Code view and see the updates happening in Live View. Live Code is not editable – it is the generated code exactly as the browser would have rendered it. Q: I see jQuery code hinting for Dreamweaver, but does it also do it for CSS3? Q: When Greg talks about HTML5, is he using it in the buzzword sense, or in the limited real definition of HTML5 sense? Q: What about corner radius, is it possible? In Dreamweaver. A: Yup! And it’s awesome! Q: What about staging server in DW CS5.5? A: Yes, we support multiple servers (added in CS5). Q: Are there any new ColdFusion integration features in Dreamweaver CS5.5? A: No, due to the fact that CF now has it’s own development environment, ColdFusion Builder. Q: Does DW 5.5 support adding new custom templates? So you showed some 3-column HTML5 ones, could I add my own and distribute them to other members of my organization? A: You can. The layouts are in Dreamweaver folder > Configuration > Builtin > Layouts. » See a complete list of all new features in Dreamweaver CS5.5, or try it for free. Q: I am a huge Adobe Fireworks user too, will it utilize more HTML5 and CSS3 when exporting out? A: Not currently, but the team is definitely working hard to add that support. Q: I heard it was moving with a smaller update, to Fireworks CS5.1 – is that true? A: Yes, this is true actually. » See a complete list of new features in Fireworks CS5.1, or try it for free. Q: Which CS5.5 suite contains Flash Builder 4.5 Premium? A: That would be Web Premium OR Master Collection. Q: Is it possible to do remote debugging via WLAN with Flash Builder 4.5? A: It has to be connected via USB. Or you can do it wirelessly, on the same network. Q: Will it be possible to export to mobile AIR from Flex Builder 4? » See a complete list of all new features in Flash Builder CS5.5, or try it for free. Q: What about Flash Catalyst? Any new features? Q: How does the new Flash Catalyst CS5.5 handle mobile optimization? A: Catalyst doesn’t really handle mobile optimization, but it does have bidirectional workflow with Builder. Flash Builder can make mobile apps. Q: Noticed the new features in Flash Catalyst – wish I had those in CS5. I have done three projects for Scouts in FC and it was very easy. especially for someone who had NO experience in Flash before opening the FC software. I did the layout in Illustrator and the tools where very similar to the rest of the suite. For a beginner that is a top asset in learning. I was very surprised to see that I could go from one product to the next without a lot of manual reading. I have the Adobe FC, FW books and they are great with the project files you can walk through. A: Thank you so much for your feedback! That’s great to hear and I totally agree with you! » See a complete list of all new features in Flash Catalyst CS5.5, or try it for free. Q: What’s the difference between Flash Professional, Flash Catalyst, and Flash Builder? A: Flash Pro: Rich graphics, full control using ActionScript. Flash Catalyst: Easy creation of interactive content without writing code (uses the Flex Framework). Content can then be imported into Flash Builder. Flash Builder: Development tool for rapidly creating mobile, web, desktop applications using ActionScript and the Flex Framework. Q: Is there a major upgrade in Flash Professional CS5.5 from CS5? If there is, what are the main features? A: It is a major upgrade to Flash! I counted 25 new features. Some major (publish/debug on device), some minor (autosave docs every 10 minutes). Go here for my list. Q: Can I open a file with Flash CS5, which created and stored with Flash CS5.5 before? A: You can downsave a CS5.5 file to CS5 to open in that version. Q: What is easiest way to convert publish SWF created in InDesign to iPad and other tablet devices? A: The iPad doesn’t support Flash, so there is no way to play a SWF on it. Q: No Flash on iPad? I don’t understand. Q: With the release of CS5.5, Flash Builder Premium now replaces the vanilla version in the Creative Suite 5.5 Web Premium suite. Other than this and the loss of Soundbooth, have there been any more major changes to the suite collections? A: There are multiple new features within the suites – you can see what is new here. Q: Is Wallaby in CS5.5? A: No, Wallaby is not in CS5.5 – it is on Adobe Labs. Q: Whenever I import Photoshop files into Adobe Flash, they always appear of low quality – is there a way to fix this? A: If you have layer modes in Photoshop, then they don’t come over that well. So simplify in PS and you should be OK. Or, what I usually do is export PNG-24 from Photoshop. That gives you the most control. A: Thanks – I totally agree!! Q: Can Flash CS5.5 open a .flv directly? A: It is a video file, so it would open in an FLV player. Now you can import flv directly into Flash. Q: Hi guys, will SPRY be replaced with jQuery in Dreamweaver CS5.5? Is that a direction for the application? A: We are continuing to maintain the Spry framework, but we are also VERY excited about jQuery. In fact, we are a sponsor of the jQuery mobile framework, and several DW team members are contributing back to the frameworks. » See a complete list of all new features in Flash Professional CS5.5, or try it for free. Q: Does CS5.5 include any updates to Adobe Illustrator? » Try Illustrator CS5 for free. Q: About InDesign CS5.5… besides the publishing tools which are also amazing, what are the new tools? A: The ePub export engine has been rewritten, and InDesign CS5.5 is a must-have in this line of business. Q: When will I be able to put a video in InDesign and have it play on the iPad in an ePub? A: In InDesign CS5.5. This is one big benefit and feature of the new version. Q: What video formats will InDesign be able to export for EPUB? A: Flash and H.264/mp4. Of course it will be up to the devices to support the video. Q: Can I export a InDesign file as an app for the iPad/iPhone ? A: Check out the Adobe Digital Publishing Suite. It enables you to design your content in InDesign and then publish it to tablets. Q: So I can distribute my own .folio file for free? 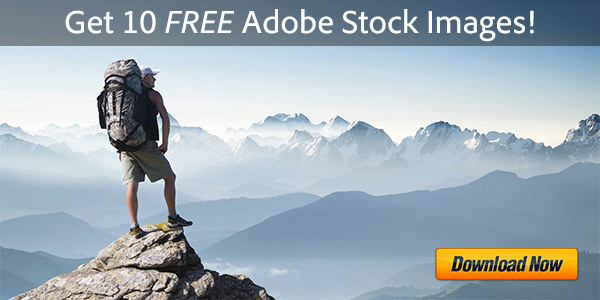 A: You could but that would imply the use of the free Adobe Viewer. Good for showing, but not a business model. Q: I assume the .folio format will be the standard for any tablet publishing file? Q: What about the Digital Publishing Suite? Will we able to create the .ipa file? A: You won’t but Adobe will for you. Q: Hi, how comes the Wired magazine editions are so big to download (> 320 Mo)? A: It all depends on what media you want to include. It’s incremental, each video, each sound file, ach image file adds to the weight of the publication. Q: So there’s almost no more real difference between ePub and .folio? A: They are entirely two different things. ePub = eBooks and .Folio = digital interactive magazine/document. Q: What’s the best way to show a interactive InDesign document (like a proof) you have created to someone at a remote location without going live online, and if they don’t have InDesign themselves? I’m new to the interactive features in CS5. Got a link to a tutorial, etc.? A: The interactive SWF can be run locally in a browser with out being online. Also some of the features work inside a PDF. Q: Okay gotcha – export a SWF and send them that. Thanks Terry. Q: Can you talk more about the new Articles Panel? Does this mean I can have two structures in my ind doc? One for ePub structure, and a different XML structure for online? A: That’s exactly what it means. Q: Does the new CS 5.5 allow me to build iPad apps if I get the SDK solely in the suite, or do i still have more work to do in the SDK? A: You will need to download the SDK for iOS. Q: Do you need a Mac for iOS publishing? A: Yes – that’s a requirement from Apple. Q: Are the Object Export Options an option under the object style panel? Would be great to apply the same image ePub settings to lots of objects through the style. Or do we have to select the options for each image? A: In InDesign CS5.5 you can assign image options globally during export. Or object specific. InDesign CS5.5 is a must for who is in the ePub business. Q: How is CS5.5 going to make producing an ebook easier? A: In many ways. The ePub export engine has been rewritten from the ground up. Also, it is now possible to assign tags and CSS classes directly within InDesign. Q: Is the ePub 3.0 support full or partial? Q: Has the export from InDesign to Dreamweaver been improved in CS5.5 from CS5 and, if so, how? A: More control over HTML/ePub export of graphics, articles, tags and CSS. Q: If we use the new linked stories feature, will the linked story translate to actual text for ePub? And XML? Or is it treated as an object? A: It is actual text if it was text to begin with. Q: Is it possible to put imagery behind text when epublishing from InDesign? A: Not really. You could try it as a grouped object, but I don’t think it will work. Q: Can the Adobe CS5.5 Extension Manager install/de-install InDesign plug-ins too, like in InDesign CS2/CS3/CS4? Q: Do you plan to offer Digital Publishing Suite at lower price point for smaller and mid-sized publishers? What about multiple downloads? What about free magazines in ADPS? Q: Will the documentation for the Digital Publishing Suite be more detailed than what currently exists for prerelease drop 11? A: Yes, when it’s final there will be lots of documentation and how-to videos. Q: Do you have to physically convert the vectors or does that happen automatically in the ePub export? A: That happened automatically during ePub export. Not manually. Q: How compatible are CS5 and CS5.5 files? Am I going to run into a lot of problems if I get an InDesign CS5.5 file without it being backwards saved? Will CS5.5 idn files still be able to open in CS5? A: You will be able to bring InDesign CS5.5 into InDesign CS5 or CS4 by exporting to the IDML interchange format, which allows you to go back to a previous version of the software. Please see here for more information. A: I agree, if you are in this line of business (ePub, Digital Publications), it is totally worth it. Q: Where will be the best place to access the training for InDesign with EPUB files? Lynda.com, text, tutorials, Adobe TV? A: All the usual places including Lynda.com. Q: Hey guys, could you please show how to create an EPUB in InDesign CS5 for the iPad? Q: Dang but these InDesign changes are fascinating. Nicely done! » See a complete list of all new features in InDesign CS5.5, or try it for free. Q: How is InCopy affected by InDesign 5.5? Anything new there? A: Yes, there is an InCopy CS5.5. Q: So is it a major update & upgrade in InDesign, but not in InCopy? A: InCopy CS 5.5 gets the features that are relevant from ID CS 5.5. Q: Will InDesign CS5.5 work with InCopy CS5? We’re thinking of upgrading InDesign, but not InCopy. Q: Any chance InCopy will be available for subscription pricing? We work with a lot of editorial freelancers that do not own the software, and it would be great if they can get InCopy for a lower price just for the duration of our project. A: Suites and certain products are available with CS5.5 subscriptions, InCopy alone is not available at this time. More info here. » See a complete list of all new features in InCopy CS5.5, or try it for free. Q: Are there any new features or fixes in Illustrator or Photoshop specifically in 5.5? A: There are no new features for AI and PS. There is a FREE update from Photoshop CS5 to Photoshop CS5.1. Q: Will Photoshop CS5.5 make broader use of the GPU? Any updates or new tools in the Photoshop 3D world? A: There is no Photoshop CS5.5. There will be a free update with some smaller features from CS5 to CS5.1. Q: I saw a comment about a free PS CS5.1 update. Is this update just for the tablet interface or does it have any other fixes or tweaks? A: A few fixes, but mainly the external app support. Q: Why were there no major improvements to Photoshop or Illustrator? A: This release was targeted at mobile authoring, as opposed to the major releases every 24 months that focus on the broader feature set. » See a complete list of new features in Photoshop CS5.1, or try it for free. Q: What features are new in Premiere Pro CS5.5? Q: Difference between dual-core and i5? A: ;) Yep. More than tripled the number of supported cards between CS5 and 5.5. Q: What is the best method to get closed captions from the speech analysis function? Can you export this as an RTF file for use on YouTube? A: We don’t have a way to export into that format, nor can we create or edit CC files. We can, however, preview MCC/SCC caption files in Premiere Pro, but we can’t generate. You could theoretically create a metadata sidecar XML from your video and leverage that for subtitles/captions….but I imagine there may been some elements in there that you don’t want. Perhaps not so eloquent, but it could work with a bit of tweaking. Q: Does CS5.5 fix the following issues: support for DSLR footage in OnLocation? The bug of “Dynamic Link requires Production Premium”? A: Not sure about that one. OnLocation was not officially rev’d in this version (it’s considered CS5.1) though there have indeed been some bug fixes. I will look into this for you, as I know this was a troubling one… stay tuned. Q: In one project I used the Titler for creating Closed Captions, which was pure drama. Has the Titler been improved in CS5.5 in Premiere Pro? A: Indeed…I could imagine that being fairly cumbersome. No major changes (to my knowledge) in the PPro titler. Q: As After Effects 5.5 now has the stereo rig, does Premiere Pro 5.5 support it any way, or do you still need Cineform Neo? A: Well, these are really two separate things. You can certainly create the stereo rig in After Effects and Dynamic Link into Premiere Pro…this does not require Cineform. However, editing 3D stereoscopic ‘footage’ in Premiere does require Cineform Neo3D, as there’s a whole process for converting any content to the Neo3D codec, which will editing smoothly/natively and offers direct integration with their FirstLight software (in both Premiere *and* AE). Q: Thanks – I do have also Cineform Neo, but I was interested exactly what Premiere Pro has including 3D editing as the After Effects already has this. A: Cool. I’ll try to show the Dynamic Link as well. Q: Any plans to support WebM in addition to H.264? Q: What was that gadget that Jason just showed attached to a Nikon? » See a complete list of all new features in Premiere Pro CS5.5, or try it for free. Q: How about Adobe Soundbooth? A: Soundbooth has been replaced in the suite with Audition… Here is the official statement. Q: Will I be able to transfer my files across to Audition from Soundbooth? A: By transfer files, are you referring to actual ‘audio files’ created with Soundbooth, or Soundbooth ASND/Score files? The latter two are not compatible with Audition CS5.5, but obviously any audio file (i.e., WAV, AIF, MP3, QT) are the same between the two apps and all of those will work in Audition the same. 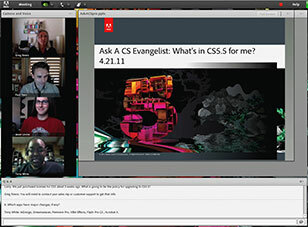 Adobe’s first Ask a CS Evangelist session with different CS5.5 questions and answers. Our full Creative Suite 5.5 guide, and a version difference between CS5 vs. CS5.5. You might also like to know when Adobe CS6 would be scheduled. They turned off the CS5 trials. Are the CS 5.5 free tryouts available yet ? But yesterday, everything for CS5.5 was released, including the free trials. You can download them on Adobe’s normal page, or via our CS 5.5 direct download links (all products on a single page for direct access). Thanks for your question and hope this helps! I’m confused over ePub and the folios. I want to create interactive books under ePub and publish them in iTunes, Amazon, etc. I have enough invested in Master Suite and want to know what I can do with it. Also, I find that there are lots of Adobe downloads required for specific areas. But, Adobe doesn’t do a good job of providing that info in one place. It would be nice to get that right from the app instead of pulling my hair out or searching throughout the website. Yes Rob, you can definitely create and export ePub content and ebooks with InDesign CS5… see the online documentation or this tutorial video. Hi, Could you please kindly tell me whether we can still sideload .folio file to ipad by itunes after August 3rd 2011 (I mean the end of Digital Publishing Suite Prerelease Program – Please) ? Secondly, I want to know whether we can deploy a single-content-viewer with contents as an iPhone app to put it on the App Store for free after the date i mentioned above? That is we don’t need to upload the .folio onto an Adobe server and embed it in self-developed Content Viewer freely. Does it mean we could only use Adobe Viewer as the default viewer instead of building a new single-content viewer if we only have InDesign 5.5 at hand without paying for the DPS? Hello Daisy, thank you for your questions. Some of those possibly only Adobe could answer, particularly about future plans… You could try on their tech support site. Generally, your best resources for the Digital Publishing Suite are Adobe’s blog, user-to-user forum, and TV channel. I just installed the CS5.5 Master Collection, and I’m not seeing the 2 versions of apps that I’ve read about. — So how I can be absolutely sure that Premiere Pro, After Effects. and other apps are running in 64-bit mode. I actually went back to the installer DVDs and did a custom install of Photoshop that designated 64-bit, and (re)installed it – so now I see a version of Photoshop that doesn’t specify anything, along with a version that does specify 64-bit. Do I need to go back and do this for all apps? I am running Windows 7 Ultra 64-bit, and I assumed the Adobe would intuitively know to install the 64-bit versions, but now I’m not so sure. I get it now, with the exception of Photoshop, all CS5.5 apps are ONLY 64 bit. Well, close – but not quite… If you read that other article linked above, you’ll see that only After Effects and Premiere Pro require a 64-bit system. Photoshop comes in both flavors, both 32-bit and 64-bit versions – and using the latter (if/where possible) will give significantly better performance. But all the rest of the CS5 and CS5.5 applications are built for 32-bit (but will also run fine on 64-bit systems). Would you be able to tell me if CS5.5 Indesign will help me with bi-directional text. 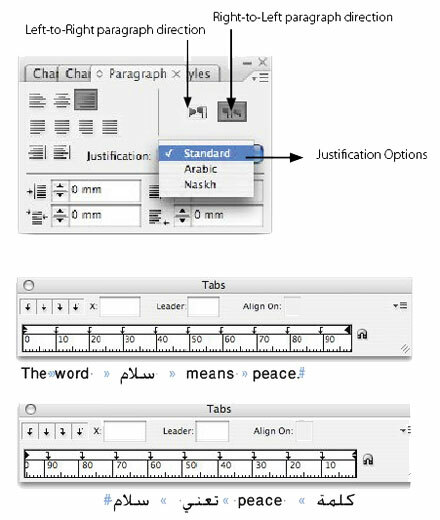 I am trying to switch the flow of some Arabic text on some translation work I am doing and my CS5 does not seem to help me with bi-directional text (or I am just not seeing it in the menu option). Would I have to purchase a middle-eastern version of Indesign, or simply upgrade to CS5.5 from my CS5 to do the job? Many thanks if you have an answer! I am trying to use the insert media feature to place a working video on my site that I am building, but instead of the video it inserts a bunch of icons that look like speaker icons to change volume and no video clip. I am using Dreamweaver CS5.5, a registered version, and am on Windows 7 Home Premium. Any help would be appreciated greatly, and thanks in advance!! P.S. I have a screenshot saved of what is showing up on the page, but there is no place to attach a file here…. Here, these may help: try reading this forum thread, as well as this one too. That might explain what’s going on. Ok, I checked the threads and saw that they were in regard to a similar issue with Dreamweaver CS4, but I have CS5.5, and the solutions offered seemed to all circle back to downgrading to CS3 from CS4 to correct the issue. So, is it just that CS5.5 version has issues with inserting video into pages, or what?? There shouldn’t be zlloyd. Have you confirmed that, despite the appearance in Dreamweaver and when previewed in a browser, the FLV videos don’t appear or play once the files have been uploaded to your remote server? Also, have you checked the general Dreamweaver Support Pages on the issue? By remote server I am assuming you mean the website file I am saving everything in for my site, as I have not connected to an online server yet, until it is all finished and working properly. If that assumption is correct then yes, the FLV videos do not play, but some useless icons appear on the page when previewed in browser, none of which will play anything though. Yes I have also checked the Adobe support pages about this, but there is very little there about the latest Dreamweaver CS5.5 at all, and this particular issue is only listed for CS3 and CS4 that I could find, and they are set up totally different than CS5 is. No, I have not uploaded the site to my web space provider yet, as it is not completed yet because of this ridiculous video clip issue. Also, I have checked the Adobe Support Forums, but there are very few threads regarding this latest version of Dreamweaver CS5.5, and it is set up totally different from CS3, and CS4, so the threads there are of no use to me really. Is there a big difference between Adobe InDesign CS5 and Adobe InDesign CS5.5? What’s the Difference Between Adobe CS6 vs. CS5.5 vs. CS5?